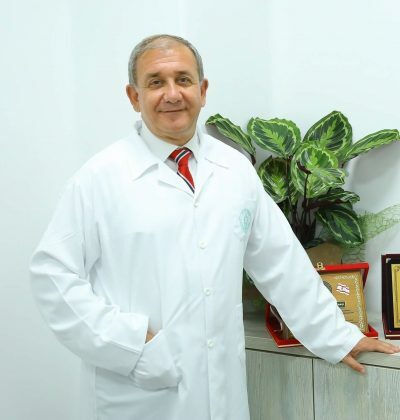 The Kyrenia University Dr. Suat Günsel Hospital, having been equipped with the latest and the most advanced medical devices and run by a much experienced team of specialist staff was completed within 9 months and got ready on 15 November 2016 to provide comprehensive health services to local and foreign people living in and around Kyrenia region. The University of Kyrenia Dr. Suat Günsel Hospital is a huge complex comprising 15,000 square meter indoor area within two blocks, each comprising four storeys. The hospital comprises three fully equipped operation theatres of which was designed especially to carry out cardiac surgeries; four intensive care units with 17 beds especially designed and equipped for pediatric, cardiology and general intensive care purposes; one delivery unit, a blood bank, sterilization and dialysis units, an emergency service; biochemistry, microbiology and pathology labs; radiology, physiotherapy and rehabilitation clinics, cardiac centre, 20 policlinics, nutrition and dietetic and check-up centers, 4 sound-insulated classrooms with 120 people capacity, a restaurant with a capacity to serve up to 200 people, clinic pharmacy, normal and cold air stores and a call center. The hospital carries out its service on 7/24 basis. The Kyrenia University Dr. Suat Günsel Hospital, giving the utmost importance to patients’ safety and rights, was equipped with the latest and the most advanced devices of the modern medicine, and moreover, is the only hospital carrying out its facilities much above the European standarts with a sequental device track and cutting-edge technology of radiology units providing single dose radiation at the lowest possible amount. Amongst the devices assembled at the Kyrenia University Dr. Suat Günsel Hospital are 3 Tesla MR, which is used for the first time in the region and can perform synthetic MR imaging, double tube and double detector CT, the first and only digital tomosynthesis mammography system in the island, the first and the only Biplan double tube and double detector angiography, digital radiography and fluoroscopy, digital mobile radiography system, C-arm digital radiography system and 9 top-level ultrasound devices. The Kyrenia University Dr. Suat Günsel Hospital has assigned duty and responsibility to provide superior health care services by reflecting its commitment to community health, medical and human values as well as to service and management quality.